Do you often feel like your employees aren’t meeting your expectations? Are your sales fluctuating from month-to-month, making it hard to plan? From inconsistent growth to employee management, we’ll show you through examples and scenarios how every frustration is an opportunity for systems development in your business. In our guide and email series, we’ll walk you through one of our key processes that has helped thousands of our clients think strategically about the frustrations in their businesses. When you sign up, Adam, our Coaching Delivery Manager, will send you advice and examples for each step. 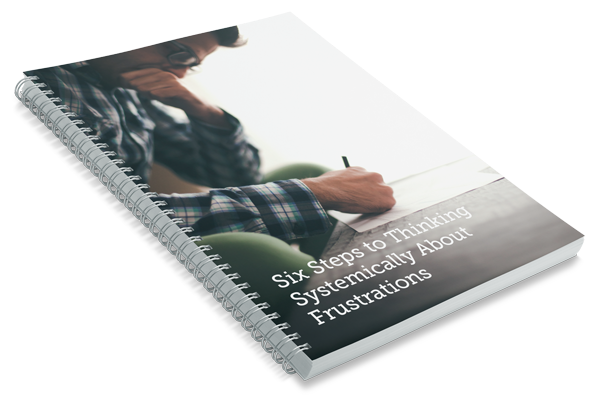 He’ll show you how to identify the core of your frustration, determine the underlying cause, and quantify the impact so you can find a system solution.